There are 11 reviews of Beloved Woman. During the opening moments of this scent, I am fooled into thinking I could love the herbal and almost-harsh rose and grassy notes that rise up to meet me in a whoosh-y aromatic cloud. I am a sap for just this kind of beginning: a bittersweet greenness that is both creamy and tart and undergirded with resins and something approximating patchouli. But within minutes, the whole thing collapses in on itself and all that is left is a sharpness and a synthetic...something that give me no pleasure whatsoever. Amouage can do better than to give us a weak and decidedly inferior imitation of Aromatics Elixir. Beloved is beautifully done. But what strikes me most about Beloved is that it is Amouage’s homage to that great classic, Clinique’s Aromatics Elixir, just as surely as Jubilation 25 is a homage to classic French fruity chypres such as Rochas Femme or Diorella. Beloved opens up with a bitter, powdered clove, lavender, and sage combination that smells as aromatic and as talc-like as one of those quaint gentlemen’s colognes you might find at Penhaglion’s, or indeed a modern interpretation of a Dandy perfume, such as Histoires de Parfums’ 1876. There is a certain spicy, resinous, talc-like feel that links all these fragrances in my mind. The opening with it's floral- clove character develops quickly to display a delightful rose-jasmine note, which later is combined with some lavender to a beautiful trio. Later violet and ylang-ylang lead to a base of cedar, vanilla, and a gently spicy musk. All this is always smooth and exceptionally well blended, and the constituents are of the highest quality, but the development and the overall impression are not exceptional. Atypical for many other Amouage fragrances, this one is never loud, and always exudes elegant restraint. Silage and projection are good. Total longevity is very good at about seven hours, with the last hour seeing it reduced to a rose-tinted powdery shadow of its initial self. Have you listened to a pristine record being played on quality hi-fi equipment lately? Even at low volumes you could still hear the music come alive. To my mind Amouage BELOVED may be described thus, in similar terms. This tastefully rendered floral is anything but loud, projecting modestly with an undeniable crystalline quality to it that twinkles like a star-dusted evening sky. The rose is deliciously tart, the jasmine sublime and the resinous base invitingly warm. Yet they are all seamlessly and harmoniously blended. I am smitten. But the price tag left me cold. Amouage is a house that tends to think more is more. Some of their more recent scents (Memoir, Interlude) have devolved into boozy, smoky (albeit rich) nightclub scents that turn into a bad hangover on me. Beloved is a blessed relief from that overwrought trend. A softer Amouage is still huge, and Beloved would not enter the realm of daywear scents for me. Despite its pretty florals, it doesn't send me in to swoons of love, and Amouage's heavy woodsy/patchouli/musky drydown turns a hair too sweet on my skin. My pocketbook is eminently happy to take a pass on Beloved. Perfume Mujer AMOUAGE Beloved Women's Eau de Parfum Spray, 3.4 fl. oz. 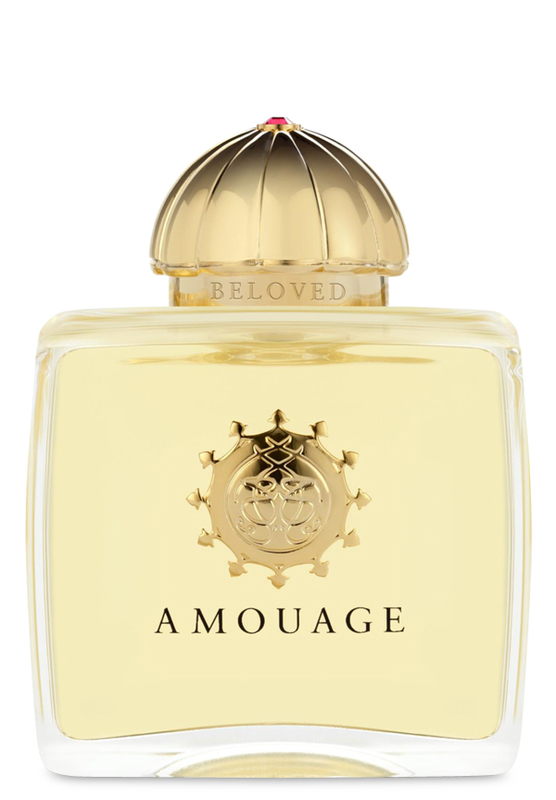 Amouage - Beloved Woman. Recommended for an animalic chaser such as myself?